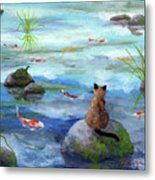 There are no comments for Cat Koi And Turtle Among The Cloud Reflections. Click here to post the first comment. 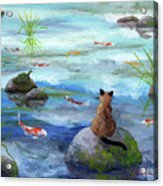 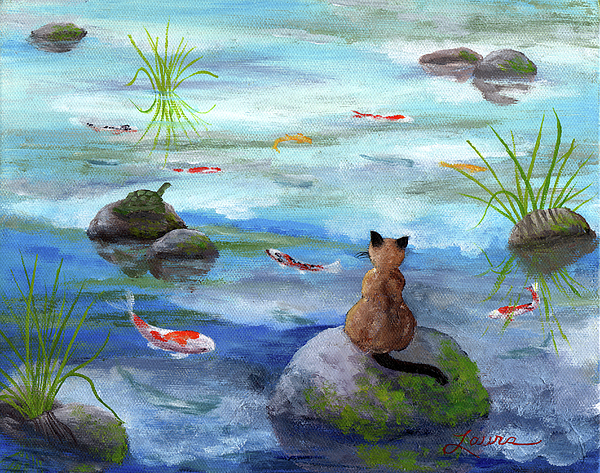 A Siamese cat sits on a rock, watching brightly-colored koi fish dart in and out of the reflections of the clouds in the water. 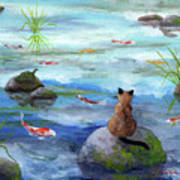 On one of the rocks, a turtle takes a rest in the sun.